Let’s get one thing clear: we love it when Minecrafters host servers. 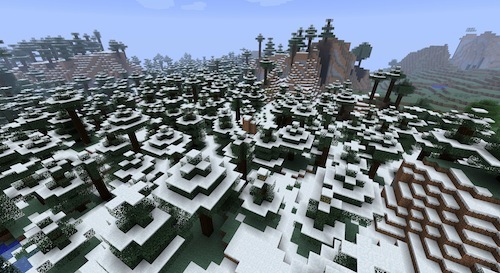 Tiny or massive, running vanilla or modded Minecraft, we think they’re all great. Playing with friends in persistent worlds is awesome. Everyone knows that. Hosting servers can be expensive. We want to give hosts a way to cover their costs. That said, we don’t want our players to be exploited or to have a frustrating time unless they pay. The following rules, which may be tweaked at a later date, have been created with these points in mind. You are allowed to put adverts in your Minecraft worlds to help with costs. Used within reason, adverts and sponsorship can be appropriate ways to fund a server. We’re hoping that these rules will give hosts opportunity to continue creating awesome Minecraft worlds, and for our players to enjoy them without being forced to spend. I’m sure we’ll get loads of questions about this subject over the next few days. I’ll prepare a follow-up post once I’ve gathered your queries. § 13 Responses to マイクラサーバーの収益化"
You are currently reading マイクラサーバーの収益化 at minecraft.ologies.net.